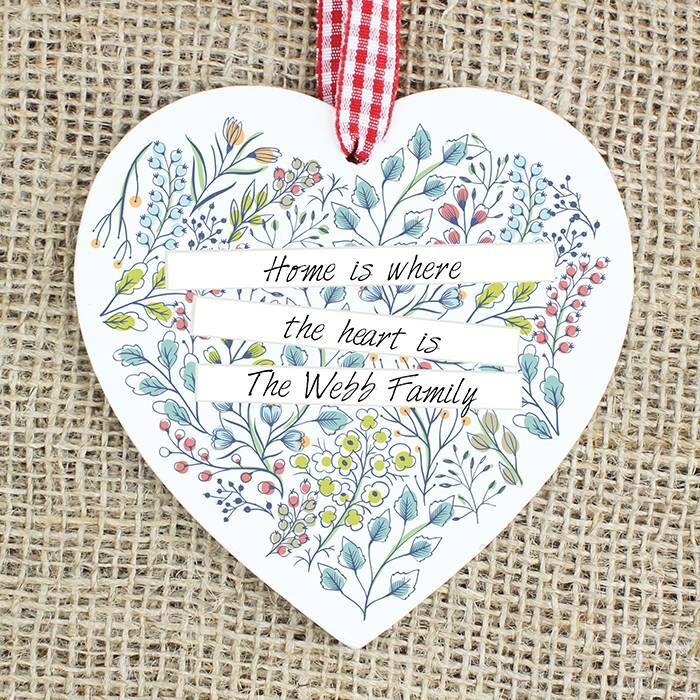 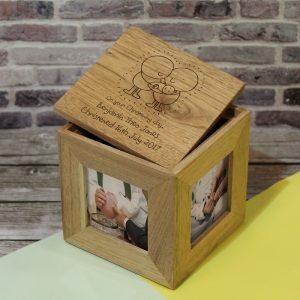 This Personalised Wooden Heart Decoration, is delightful and so thoughtful for that special someone. 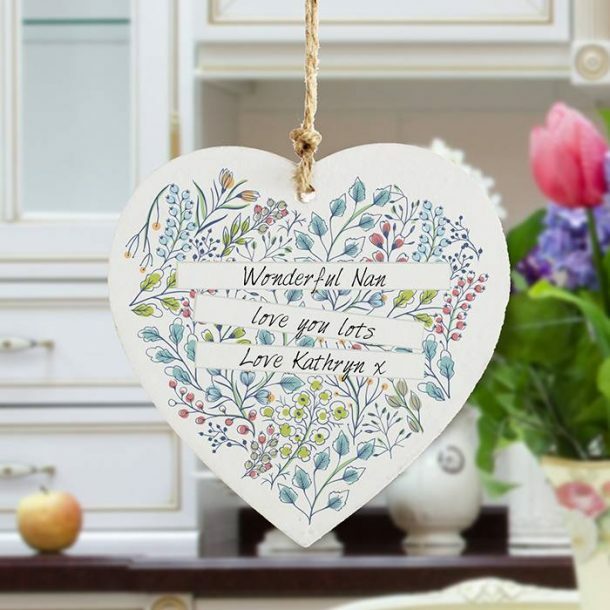 Crafted from wood with a colourful floral scene in a variety of shades all complimenting each other, it has the wow factor going on. The heart measures 10 x 10 x 0.3 cm and comes ready to hang. 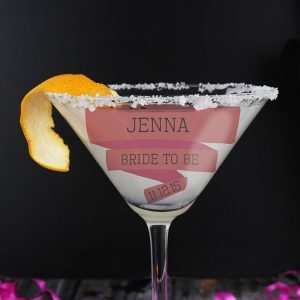 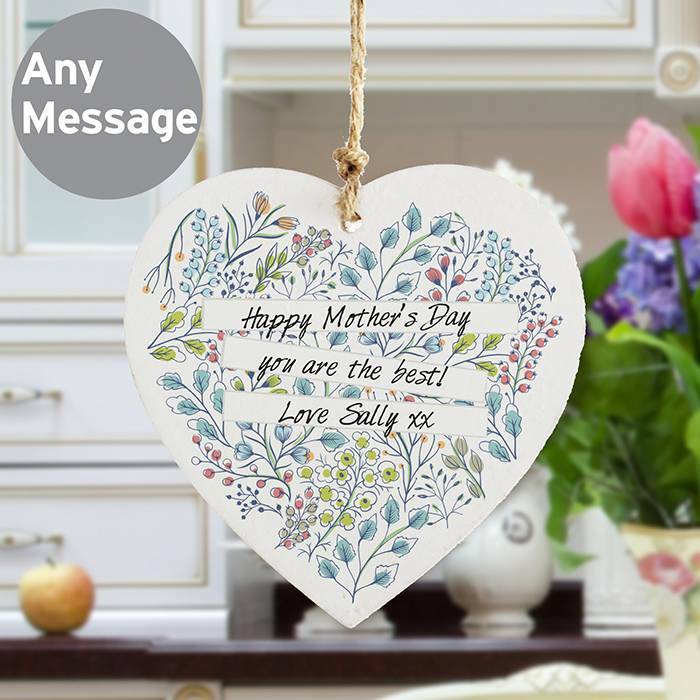 To personalise and make this decoration more special simply add 3 lines of any message using 20 characters for each line. 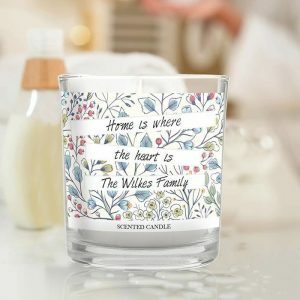 This will be printed within the floral scene in our black font style of writing, and by doing this it will make the heart extremely individual and unique. 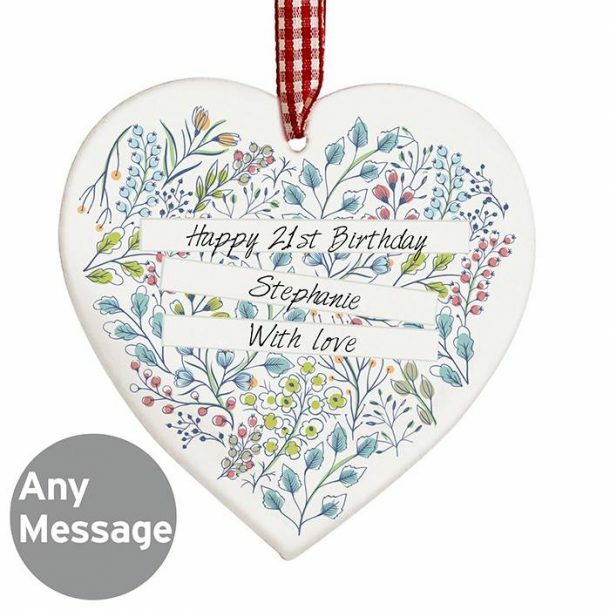 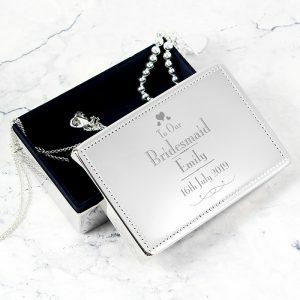 A pretty heart decoration a perfect keepsake and one that will be forever with them ……..